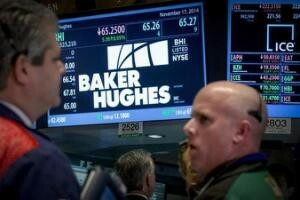 HOUSTON, Texas – Baker Hughes, soon to be merged with oil services giant Halliburton, is reporting a profit despite the challenging global price environment, the company reported last week. “Our 2015 results are reflective of an extremely difficult and increasingly challenging year for the industry,” said Martin Craighead, Baker Hughes chairman and CEO, who added that since the fourth quarter of 2014 the global rig count has declined 46 per cent. Revenue declined 10 per cent sequentially during Q4 due to a sharp decrease in activity and ongoing pricing pressure as E&P companies further adjust their spending to the continued drop in commodity prices. 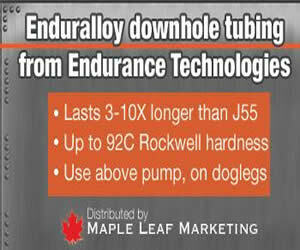 “One notable exception is with our artificial lift product line, which grew 4 per cent during the quarter, underlying the importance that our customers are placing on production optimization in this environment,” said Craighead. “Revenue for Baker Hughes international operations declined 5 per cent sequentially for the quarter as seasonal year-end product sales were insufficient to offset the drop in activity. In North America, revenue declined 17 per cent compared to the prior quarter, driven not only by activity and price, but also by onshore pressure pumping share losses as we strive to maintain cash flow positive operations despite continuing deteriorating market conditions,” said Craighead. “Even with the steep revenue drop, margins in this geographic segment remained flat as a result of cost-saving measures. Revenue for the year was $15.7 billion, down $8.8 billion compared to$24.6 billion for 2014. Revenue was also negatively impacted by the unfavorable change in foreign exchange rates. Even though revenue has declined 36 per cent for the year, decremental operating margins have been contained to 34 per cent, significantly better than those delivered in the 2009 industry downturn, Baker Hughes said in a press release. Revenue for the quarter was $3.4 billion, a decrease of $392 million or 10 per cent sequentially, and down $3.2 billion or 49 per cent compared to the fourth quarter of 2014. Adjusted EBITDA for the fourth quarter of 2015 was $376 million, a decrease of $146 million or 28 per cent sequentially, and a decrease of $1.1 billion or 74 per cent compared to the fourth quarter of 2014. Adjusted net loss for the fourth quarter of 2015 was $93 million or $0.21per diluted share. Adjusted net loss for the fourth quarter excludes$1,337 million before-tax or $938 million after-tax ($2.14 per diluted share) in adjustments. The adjustments include impairment and restructuring charges of $1,246 million before-tax or $871 million after-tax ($1.99 per diluted share) and $91 million before-tax or $67 millionafter-tax ($0.15 per diluted share) for merger and other related costs. The impairment and restructuring charges include $1,188 million before-tax related to adjusting the carrying value of certain assets, primarily in the onshore pressure pumping product line in North America, to their estimated fair values. Free cash flow for the quarter was $436 million. Excluding restructuring payments of $108 million, free cash flow would have been $544 millionfor the quarter. For the quarter, capital expenditures were $214 million, an increase of$36 million or 20 per cent sequentially, and down $289 million or 57 per cent compared to the fourth quarter of 2014. Excluding merger-related costs, corporate costs were $29 million due mainly to workforce reductions and lower discretionary spend. North America revenue of $1.1 billion for Q4 decreased 17 per cent sequentially driven primarily by reduced activity across the region, as evident in the 11 per cent rig count drop, onshore pressure pumping share losses striving to maintain cash flow positive operations, and additional price erosion in certain markets. The current quarter includes costs of$34 million for liquidated damages and other costs related to sand supply contracts. Compared to the prior year, revenue declined $2.2 billion, or 66 per cent, resulting from a steep drop in activity, as reflected in the 60 per cent year-over-year rig count drop, and deteriorating pricing conditions experienced by the industry since the beginning of 2015 as E&P companies aligned their spending to a continuously lower commodity environment. Revenue for Baker Hughes Industrial Services of $286 million in Q4 decreased 16 per cent sequentially. The revenue decline is related primarily to the larger-than-usual seasonal activity decrease and project delays in the process and pipeline services business, and to reduced downstream chemical sales associated with lower refinery utilization and warmer weather. Adjusted operating profit margins were 7.7 per cent, compared to 13 per cent in the prior quarter. The decline in margins, attributable to the decrease in activity, has been partially offset by savings from recent cost reduction efforts. 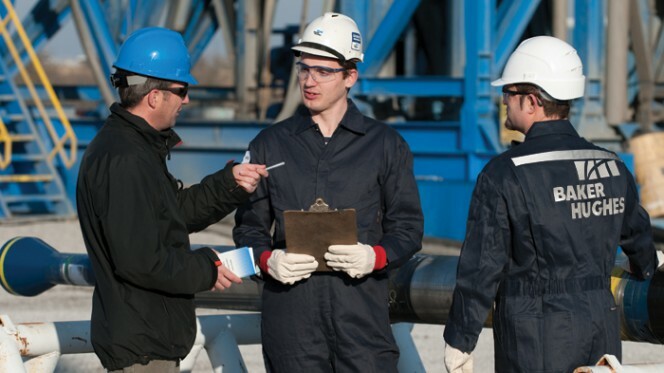 Compared to the prior year, revenue decreased 24 per cent as a result of larger-than-usual seasonal activity declines and project delays in the process and pipeline services business, in addition to reduced downstream chemical sales associated with lower refinery utilization and warmer weather. Revenue was also negatively impacted by the unfavorable change in foreign exchange rates. Year-over-year operating profit margins improved 159 bps from 6.1 per cent in the fourth quarter of 2014, due primarily to savings from cost reduction actions.